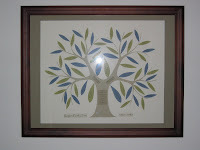 Sprik Space: "A family tree can wither if nobody tends its roots." Using information I referred to on this post, I want to attempt to finish this kit in the next 3 months or so. I've already got a spot in mind on a wall in the family room that will be perfect for it. Sadly, it's yet another one of those projects on my list that I know if I don't get it done soon, the baby will come and it will be years before I touch it. I saw those and thought they were so cute that I made some based on them. 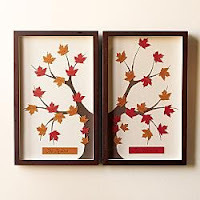 I made one for my MIL and one for my dad... maybe someday I will make one for our house.